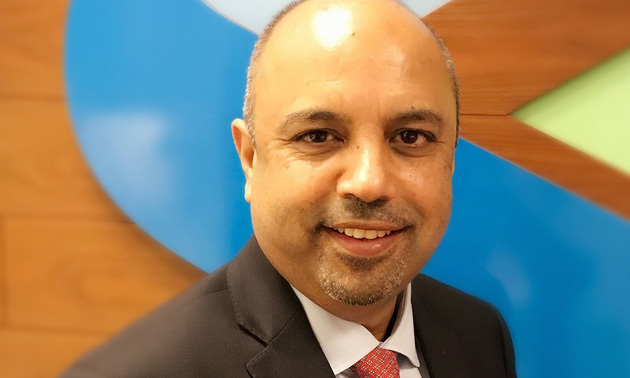 In an interview with Bridgette Hall, Rizwan Masood MD, head of HR, retail banking, wealth, CA, B&M, HK, Greater China, North Asia Standard Chartered Bank talks about his HR journey, artificial intelligence and what HR professionals need to do to future-proof their careers. Q What has your career journey been like at Standard Chartered Bank? I have done different roles within Standard Chartered. It started with a Pakistan franchise. I worked six years in Pakistan in two different roles – a specialist role and then a generalist role managing the business closely from an HR perspective as a relationship manager. From there, I moved from Pakistan and came into a group role in Singapore which was group HR for SMC banking. It was a short-lived role because I wanted to explore the big market and that’s how I came to Hong Kong and it is my seventh-plus year in Hong Kong. First I had a country role and then the regional role where I look after the biggest region for the retail and wealth business for Standard Chartered. Q What drew you to HR as a career? I think it’s more a passion for people, working with people and influencing people’s lives to do well. I think that was the motivation when I started working in HR. Then it started making more sense to me that people are the most important asset in the organisation. So if I can influence that, it means I am really contributing to the business. That really brought me into this whole space. I thought I could do well in this field because I strongly believe you need to have passion to do whatever you’re doing. And that gave me a lot of passion and still today when I come to the office that stays with me that what I’m doing today … am I changing somebody’s life, am I working with somebody to really help them? That keeps me going every single day. That motivation and passion stays. Q At Standard Chartered what HR priorities keep you up at night? In the past one or two years, our external world has been changing fast. As an organisation, we have a lot of strengths, but at the same time, the challenges we are facing and the markets in the world are rapidly changing. You only have to look at China and what is going on with technology, automation and the disruption. On one hand, as an organisation, we have to deliver certain promises to our customers which should be flawless in our execution, along with our client services and all the things which provide stability. On the other hand, this disruptive world is challenging every single day. That’s where we need to bring that cultural change in the organisation for people to embrace this whole change. We need to make sure our people are ready to face this challenge tomorrow. We have a lot of legacies and it is how we handle those legacies because we have to deliver for today and we have to plan for the future. I think every HR head is in that space to think: what will happen tomorrow and can we bring enough change that we can look at our external world more competitively in the future? I think that is really challenging me every single day: how I bring that change, how can I change mindsets, which part of the organisation is more important. I think it’s a constant anxiety that stays with me, how to really change the fabric of the organisation, yet we have to deliver as well. Q What do you think of AI? Is that one of the disruptions you mentioned? Absolutely, I think the role of AI, the role of Fintech, the role of robotics at work will impact a lot people. It will challenge people in terms of their skill sets. It will challenge us to really manage our costs better for tomorrow. Every institution is going through these cycles and resources are scarce so we have to use them more carefully in the future. That keeps me challenged every day: if AI will come or these technologies will come. A lot of people need to change their role and it is a matter of how quickly we can help them to do those things. We are doing all the studies. Every digital innovation or project we launch there is an impact on people. How many can we train? How many jobs will get impacted? So it’s a continuous process for us. One of the guys once told me, “always stay behind your team”. So when you think more carefully, it’s just really providing them with the autonomy to take decisions and once they take decisions back them up. The decisions could be right or wrong, but if you don’t give that autonomy if you don’t give them that responsibility and authority to do those things you will never develop your people. I think that’s the best advice I got because that’s how he treated me, that’s how I learned. I had full autonomy to work. I was always accountable for the outcome not the process I followed to do things. That’s the best advice I have: let my people take their role and back them up. If they make a mistake it does not matter. Give them that shelter, they should have that confidence that they can take their decisions and when they need help, I will help. I think that is the best advice I’ve ever had and I try to follow it every single day. Q What misconceptions do people have about HR? One is that younger people cannot do HR. I was very young when I started doing bigger roles and I always believe that if somebody has a talent and if somebody has enough knowledge and confidence they can always sit at the table and contribute. So there is this misconception that HR advisory roles are only for senior and older people. I think that’s a myth. I give people enough confidence. With younger people, I guide them to know their products, and if they know what they are doing then they can have a seat at the table. So it doesn’t matter if you are young, it doesn’t matter how long you have been in the business if you are a subject matter expert people will listen to you and I’ve done this with many people and that’s how I grew as well. Similarly, I teach the same thing to people and I’ve changed a lot of people from different disciplines to come and work in HR. HR is a lot about common sense and understanding how people behave so if you’re good in those things I think you can really contribute and help. The second myth is that HR people cannot go and do business. I’ve done this once in my career and any day if I choose to go out and want to be on the business side I can. Q What should HR professionals in Hong Kong do to future-proof their career? People need to be agile in their thinking process. Things are changing and they need to do this more often in HR. So they need to think, they need to be creative in what they do and they need to be agile in learning new things. If they learn, they will be able to help the people they work within a similar manner. So agility is very important. The other thing, in my part of HR where you are not a subject matter expert, but you are a generalist, you have to advise your business. So knowing your business is also very important. A lot of people in Hong Kong … I think these pieces are missing. Thinking strategically is also missing in people. Thinking strategically means looking at your business: where is it going in the next three to five years? What is the direction? Once you know the direction you need to complement this with your people strategy. A lot of people are not in that space. They always think it is the business’ responsibility, not your responsibility to help enable the business to be prepared for future. So I think that’s what is missing in the market for HR professionals. People here are very reactive – they need to be more proactive in their thinking process to see what is coming in the future and complement it with people policies for the business. If your business is going in a certain direction, how you can work on the organisation design, how you can work on the productivity? There are many different elements on which they need to complement. That can only happen when they can think strategically and the agility of their learning is there.